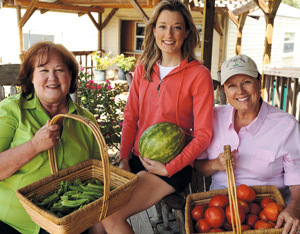 Pam Brandon, Katie Farmand and Heather McPherson — three committed locavores and accomplished writers based in Orlando — took it upon themselves to not only buy from local farmers, but also learn more about them and the food they grew. One farmer led to another, and next thing they realized, a new book project was in the works. The authors divided the state into thirds and visited farms, talking to farmers, writing down their stories, collecting recipes, and tasting food. They focused on growers with sustainable practices, and found farms big and small, new farmers starting out, and sixth generation growers leaving a legacy for their children. They visited with South Florida farmers Muriel Olivares of Little River Market Garden, and Thi Squire of Green Railway Organic Workshop (GROW). Many others contributed recipes — Redland Mediterranean Organics, Bee Heaven Farm, Gaby’s Farm, Teena’s Pride, Fairchild Farm, C&B Farms, Possum Trot Tropical Fruit Nursery, Alger Farms, Going Bananas, Burr’s Berry Farm, Robert Is Here, and Knaus Berry Farm. Local Chefs Allen Susser, Paula DaSilva, Michael Schwartz, Michelle Bernstein, and Norman Van Aken were some of the chefs who also contributed recipes. “It was a big process to cull it down to fit the book,” Heather said at a recent signing at Books & Books. “It was a matter of who should we not leave out.” The authors were limited by 300 pages and a deadline, but had enough material for a book twice the size. (Perhaps a second volume or updated edition is forthcoming?) Katie added, “We focused on telling stories of farmers who had a great story.” Alongside every recipe is a story about the grower, and a sumptuous photograph of the dish, farmer or farm. (The book is worth getting for the pictures alone.) 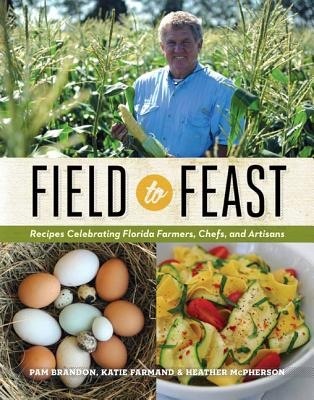 Pam added that gathering stories and recipes was based on taking “one-tank trips” around the state, and suggested that readers do their own exploring based on the list of farmers in the back of the the book. Each recipe was tested at least twice, and tasted by lucky friends. Each author did have her favorite recipes. Heather picked cajun-style boiled peanuts, and lemon curd. Katie chose saucy beef tacos, and rosemary-pecan shortbread cookies (which were served at the reading and promptly disappeared). And Pam raved about the cilantro-lime kohl slaw made with kohlrabi, and spicy-sweet kale. At the Books & Books event, the authors showed slides of farmers and told stories about how they met, and what was happening when the picture was taken. Pam said she was surprised to learn that blueberries are a million dollar business up in North Florida, and joked repeatedly that “Michigan better look out!” She predicted that peaches will be the next cash crop (replacing citrus), with a variety bred by UF/IFAS that grows well in Florida. Look for Uncle Matt’s branded peaches coming to a market soon.